Moving Hearts was formed in early 1981 and ceased regular touring in 1984. Despite many changes in personnel, Moving hearts recorded four critically acclaimed albums, and played many prestigious gigs including the Montreux Jazz Festival, The Bottom Line in New York and the Lorient Festival in Brittany. Many bands have acknowledged the influence of the Hearts including The Pogues. The original Moving Hearts lineup included, Christy Moore (vocals, guitar & bodhran), Donal Lunny (bouzouki), Declan Sinnott (guitar), Davy Spillane (uilleann pipes), Keith Donald (alto sax) and Eoghan O'Neill(bass), amongst other. After the first year Christy left the group to pursue his solo career and was replaced by another of Ireland's top male vocalists Mick Hanly. For a period after the departure of Mick Hanly the group performed as an instrumental group during which period the recorded the epic The Storm album for Tara. At this point the line up consisted of Davy Spillane and Declan Masterson on uilleann pipes, Donal Lunny on bouzouki, synthesiser & bodhran, Keith Donald on sax, Noel Eccles on percussion, Matt Kelleghan on drums, Eoghan O'Neill on bass and Greg Boland on guitar. Since 1990, when they sold out Dublin's Point Theatre for a farewell concert, The Hearts have only performed a handful of concerts (occasionally with Flo McSweeney on vocals). 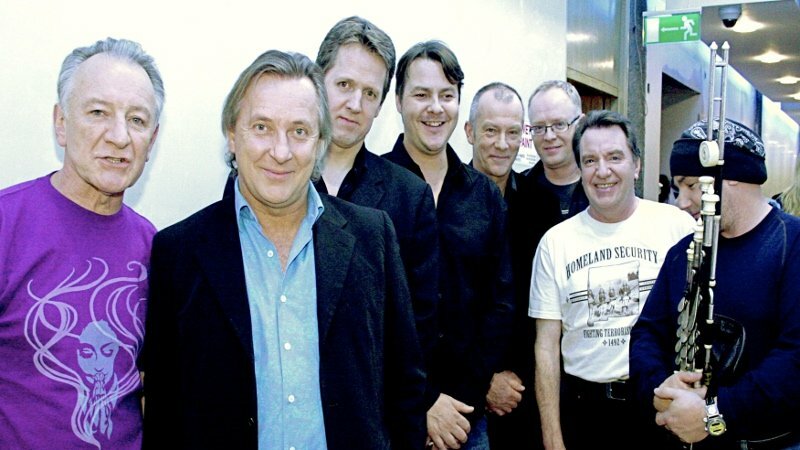 However 2007 saw the band together again for some warm gigs in Donegal, before a run of dates in Dublin's Vicar Street.